Not long after we awoke this morning our boat arrived in Kinderdijk (pronounced Kinder-dike). Susan and I enjoyed a light breakfast on an enclosed portion of the Aquavit Terrace. With a temperature of +7 it was nice to sit in an enclosed area yet enjoy the view that the terrace offered. “God made the world but the Dutch made the Netherlands”. 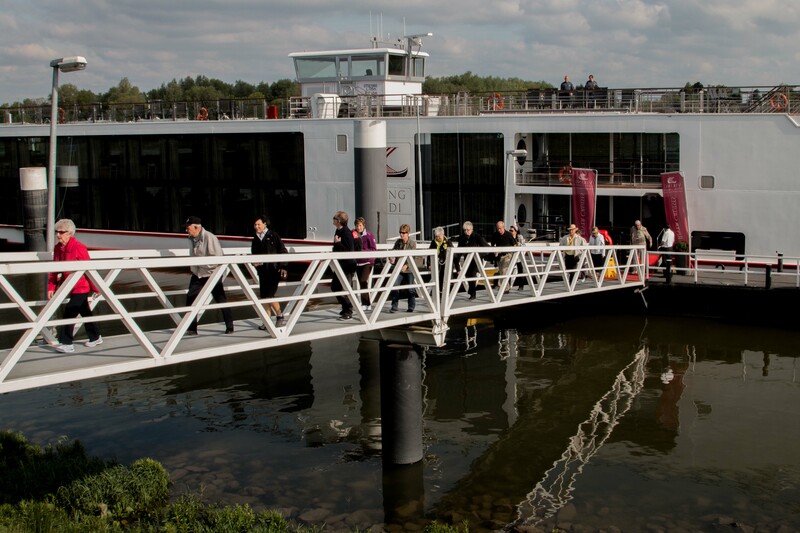 For centuries the Dutch have had to continually find new and innovative ways to essentially build their country by claiming land lying below sea level. Much of their efforts have been directed at pumping water out of the lowlands back into the sea. I had always associated windmills with grinding grain. In the Netherlands a few were used for this purpose but the vast majority of windmills were involved with pumping water. 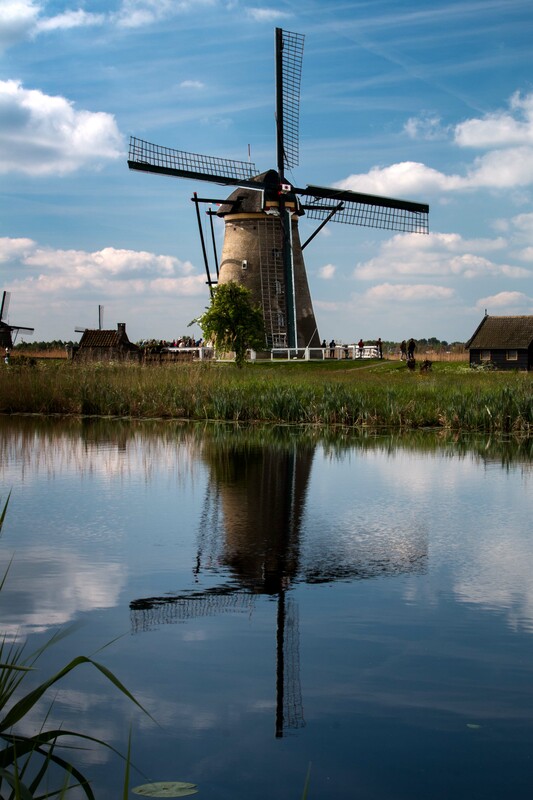 Although eventually replaced by steam, then electric pumping stations, many windmills still exist in the Netherlands. While many are restored and kept in working order, they are not actively in use today. Many of these windmills can be found in Kinderdijk and the area has been designated a UNESCO Heritage site. Following the presentation we went on a walking tour of the Visitor Center and one of the windmills. The talk in the morning, followed by the tour, gave me a much better understanding of the ongoing water management problems faced by the Dutch. Shortly after returning to the boat we departed. 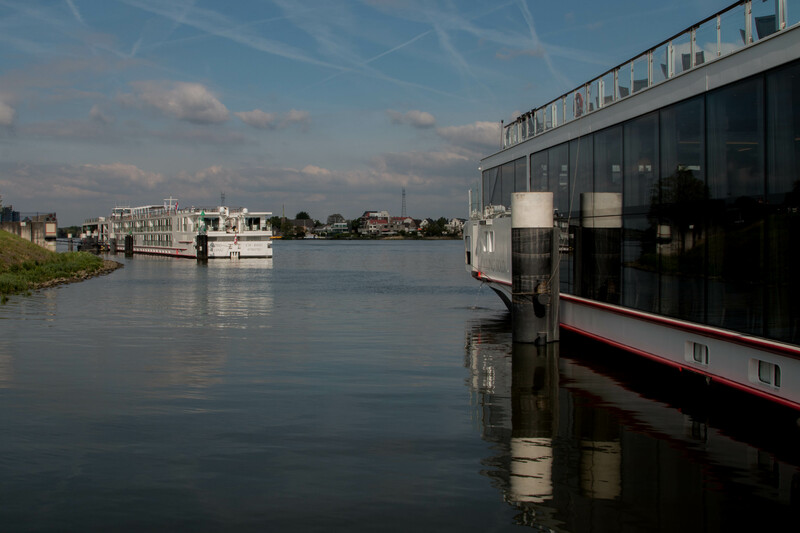 We will arrive at our next destination, Cologne, tomorrow morning. 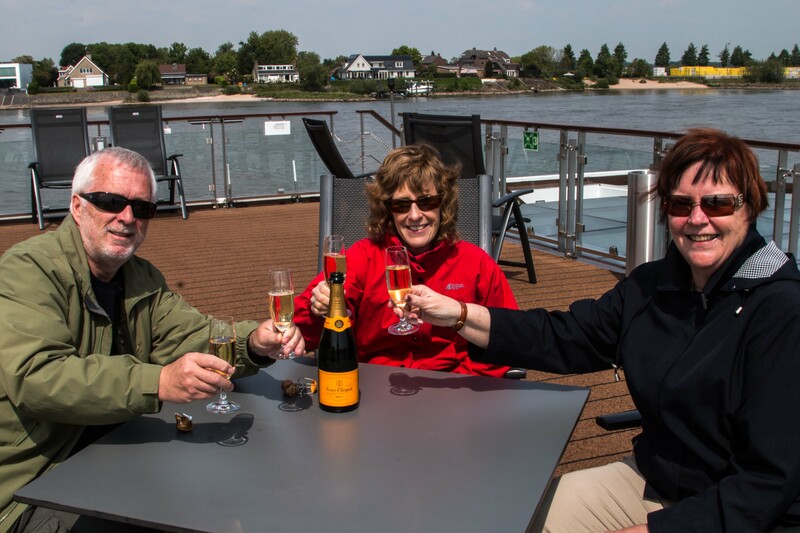 While it was still a little bit cool, we spent a very pleasant afternoon sipping champagne on the sun deck and enjoying the scenery passing by as we cruised down the Rhine. 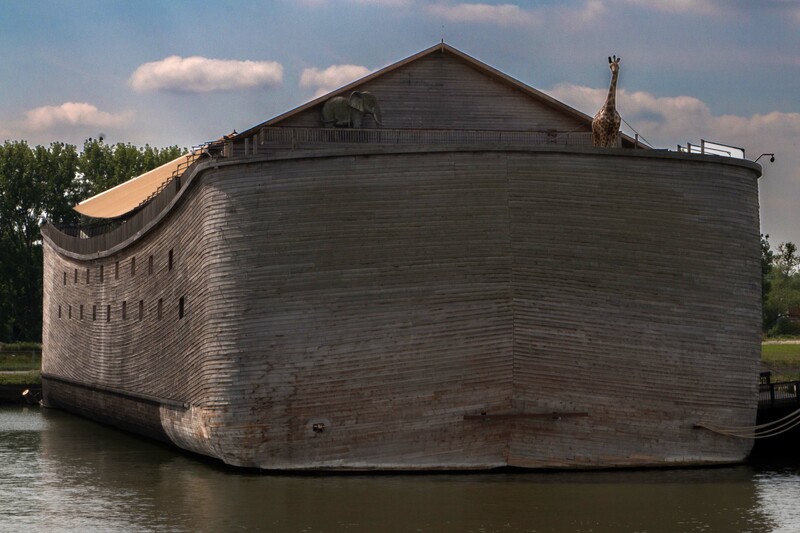 We did notice that the Dutch seemed well prepared for the risk of rising water as we passed Noah’s Ark. This evening was the Captain’s Champagne Reception followed by another excellent dinner (I had the potato wrapped marscapone as an appetizer, Chateaubriand as the main, and pana cotta for dessert). After dinner we were treated to a presentation on Dutch cheeses and Jenever – complete with samples. Mmmm tasty! It was a wonderful first day on the river! This entry was posted in Photography, Travel and tagged Kinderdijk. Bookmark the permalink. Beautiful photographs! Looks like you are having a wonderful time. Thanks David. We are having a fabulous time!